I have always been interested in what happened right before Kristallnacht; the Night of Glass; in Germany on the night of November 8, 1938. Not there would be any legitimate excuse for it. But because I am always interested in just how governments; and political groups, which are governments looking for a home; manage to get people to do some of the crazy, violent and extreme things they do. 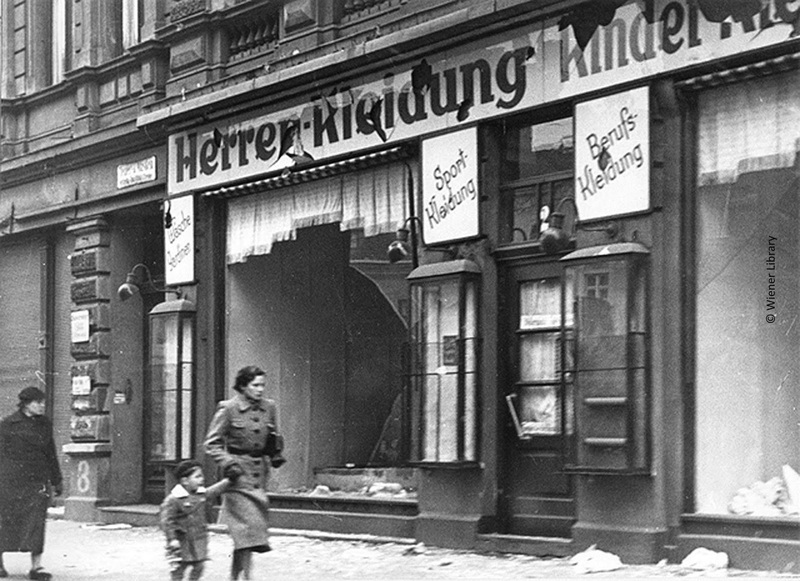 Kristallnacht; like all things; has a beginning. We know the end result; the looting and burning of Jewish synagogues and businesses by ordinary Germans. These are the people who later said they knew nothing; kind of like Sgt. Schultz in the TV sitcom “Hogan’s Heroes”. But the people doing the looting and burning that night were not in uniforms, and some may not have even really embraced the Nazi ideology. So how then did they wind up with bricks and bats in hand, smashing windows, looting and burning; beating people in the street who they merely suspected of being Jewish? Here’s the story. In 1938 the Germans began to deport Jews who were not born in Germany. “Germany for Germans!” was the cry. But there was a snag; the Jews being deported by the German government were refused entry back into Poland; which had not yet been conquered by the Nazi’s. That would be the next year. You have to marvel at the fact that the Polish people seemed to agree with Hitler’s stance against Jews, but when he conquered them he became evil incarnate. Anyway, a Jewish man in Paris; born of Polish-Jewish parents who lived in Germany; was outraged at the thought of his parent’s being involved in a game of political football. Moreover he decided to do something about it. His parents names were Riva and Sendel Grynszpan. Taking himself to the German Embassy he asked to see someone; anyone. Now, that should have been a clue. But when you’re a member of the “master race” you don’t really think anyone is going to hurt you, so he was ushered in to see a low level attaché; a man named Ernst Vom Rath, who had spoken up in defense of the Jews before. The young Jewish man living in Paris knew nothing about this German official and shot him dead. Back in Germany the Brown shirts were grinning from ear to ear. Now the Jews weren’t only taking jobs away from the German people; they were killing them! They were killing them in foreign countries! They were killing even the moderate Germans who supported them! No longer could the people afford to wait. They must act now! They must send a clear and decisive message that the world would never forget.